Laser Printer Reviews are your ultimate source of accurate and unbiased information about laser printers. Laser printers are very popular printer choices especially for use in professional settings. These printers offer robust performance that can live up to the printing requirements of the business setting without sending expenses skyrocketing. 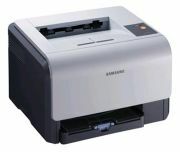 But whare the best laser printers ? A lot of businesses nowadays need at least one laser printer for their basic mass document printing needs. If you are on the search for a laser printer, there are many factors you should consider such as print speed, networking capacity, print quality, printer dimensions, energy usage, and so on. The search for laser printers can be quite confusing, so it is best to consider what laser printer reviews have to say. HP’s line of laser printers is called LaserJet. This is an entire collection of laser-based printers offering different combinations of features and functions with different physical styles and different prices. In other words, they are meant to meet varying needs. The common and most basic LaserJet package is a monochrome laser printer that can print documents and images fast from high-capacity input trays for convenient and continuous printing. However, most of the top-rating LaserJet printers such as the monochrome laser printer P1006 are geared with several special features to improve their value. The Energy Star qualified P1006 comes in a space-saving design and can produce clear and crisp prints at 17 ppm for both text and image monochrome printing. Documents and graphics come out sharp and clear thanks to the printer’s 1200 dpi output. And aside from the 150-sheet paper tray, it even comes with a 10-sheet priority tray. Some special features include the unique Instant On Technology and a built-in USB port, which get extra bonus points in laser printer reviews. The value of Brother in the printer industry escalated to new heights when the brand started a focused campaign on its MFCs or multifunction centers, a term the brand used for its all-in-one printer offerings. Part of its collection is a host of Brother Laser MFCs that functions energetically and provides fast prints at top quality. And since most MFCs are designed with office settings in mind, they are equipped with fax machines, aside from the fax and copier. One of the premium laser MFC offers of Brother, as according to laser printer reviews, is the MFC-7340, a flatbed laser MFC with 4.5 stars on Amazon. Offering 21 ppm print and copy speeds, the MFC-7340 is capable of producing precise and sharp documents with a resolution of 2400 x 600 dpi. Printing can also be continuous with the printer’s 250-sheet paper tray that can support even legal size paper. Then you can also print directly on labels and envelopes guided by a single sheet manual bypass. To top it all off, it comes with a 35-page capacity auto document feeder, plus a USB interface that enables you to make use of the MFC-7340 even without a computer. Canon, one of the industry leaders, naturally also has its own line of laser printers: the imageCLASS series. All the printers in this series, several of which are all-in-ones, all work using laser technology. Canon prides itself on the compact and clean looks of its imageCLASS multifunction printers, which offer printing, copying, scanning, and faxing. Canon imageCLASS laser printers mostly offer high resolution printing and scanning, duplex printing, and an automatic document feeder for your convenience. Faxing is done using Super G3 modems, and depending on the models, you can get PC fax as part of the package. You can find all these in the imageCLASS MF4150, a laser duplex all-in-one that can print and copy up to 21 ppm/cpm with a scan resolution of 9600 dpi color. This is supported by a 35-sheet ADF and a 250-sheet front-loading paper cassette. Additionally, it has a USB interface for more flexible connectivity. This complete laser printer package from Canon’s imageCLASS series wins a 4.2 rating from Amazon, and there’s no wonder why. One of the reasons why laser printer reviews make good guides is because they give insights on actual usage of the printers. According to reviews, maintenance is a common problem with laser printers. As much as possible, you should look for laser printers with the single cartridge design. The single-cartridge design means that the toner cartridge already includes the toner, drum, and other moving parts, so this means you only have to maintain a single cartridge. Canon’s imageCLASS printers mostly have the single cartridge style, so you have plenty of good choices to select from in your search for the best laser printers. HP LaserJet Printers - Harnessing the Cost-Effectiveness of Laser Printing - HP LaserJet printers are HP’s laser-based offers. These equipments are designed to tackle high volume print jobs without sending your toner costs soaring. Laser Printers – Boost Productivity with Rapid and Cost Effective Printers - Laser printers have remained a mainstay in the printer industry despite the presence of inkjet and dye sublimation printing technologies.